I spent way too much on tintypes and other miscellaneous photos this week, so I had to see this one slip by. Nooo! The dilemma of every collector: gotta make choices. Ah, but what a guy! And he’s wearing cowboy boots; a country folk! 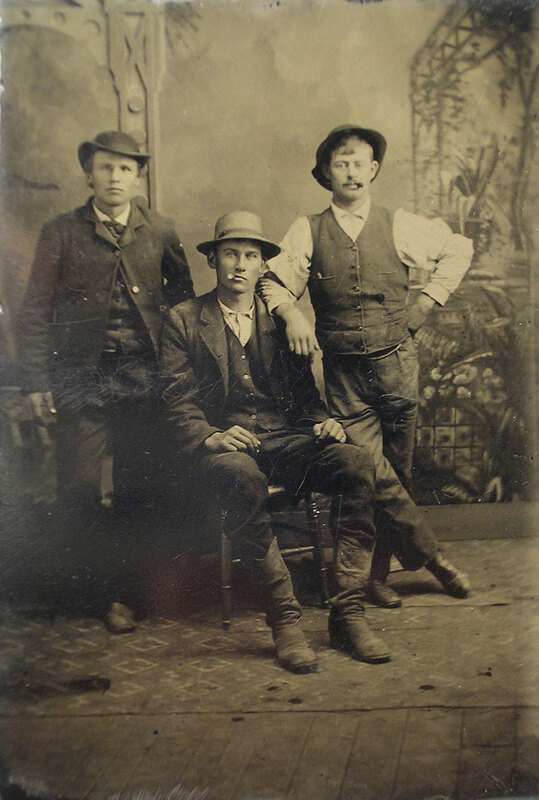 Tintype guys with attitudes do make great sitters! This entry was posted on Thursday, April 30th, 2015 at 3:02 pm	and tagged with 1880s, cowboy, handsome man and posted in Bad Boys, Groups, Tintypes. You can follow any responses to this entry through the RSS 2.0 feed.